We saw a leaked press image of the Galaxy Note 9 earlier today which gave us a good look at the upcoming flagship. The first live images of the Galaxy Note 9 have now been leaked online and they show off the front and back of the new device. The images confirm everything that we have heard about the design so far. The reports we heard about the Galaxy Note 9 throughout the past few months suggested that the handset would look similar to the Galaxy Note 8. An early hands-on of the Galaxy Note 9 also revealed that the device is almost identical to its predecessor. This has been reiterated by the multiple renders of the device that we have seen so far. You’d find it difficult to tell both devices apart from a distance. Perhaps that’s what gave Samsung’s CEO to use the Galaxy Note 9 openly during a media appearance yesterday. The Galaxy Note 9 live images, posted online by Twitter-based leaker @MMDDJ_, show a front that’s identical to the Galaxy Note 9. We can make up the new housing for the dual camera at the back. That’s one noticeable design change. The other is that the fingerprint sensor is now positioned below the camera sensors. 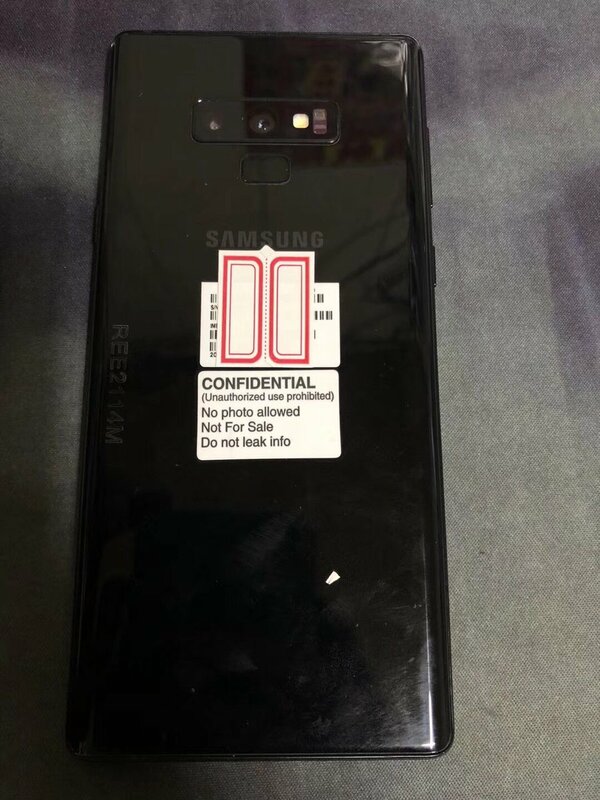 It’s kind of ironic to see that the sticker that reminds whoever was handed this device to “do not leak info” has not been obscured. It also says “no photo allowed” but the person is certainly raging against the machine here. That being said, these Galaxy Note 9 live images won’t really surprise anyone who has been following all of the reports related to the new flagship. We already know that there’s not much to look forward to in the design department. Samsung is due to unveil the Galaxy Note 9 on August 9. The event is going to take place in New York City. That’s where it will confirm when the handset will be released. Reports suggest that the Galaxy Note 9 is going to be released on August 24. 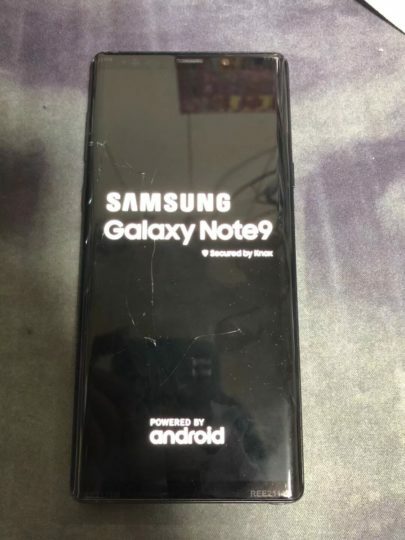 The Galaxy Note 9 live images, posted online by Twitter-based leaker @MMDDJ_, show a front that’s identical to the Galaxy Note 9. We can make up the new housing for the dual camera at the back. The new design is cool.. Only thing I expected is more smaller bazzle . So glad I got the Note8 instead of S9+!